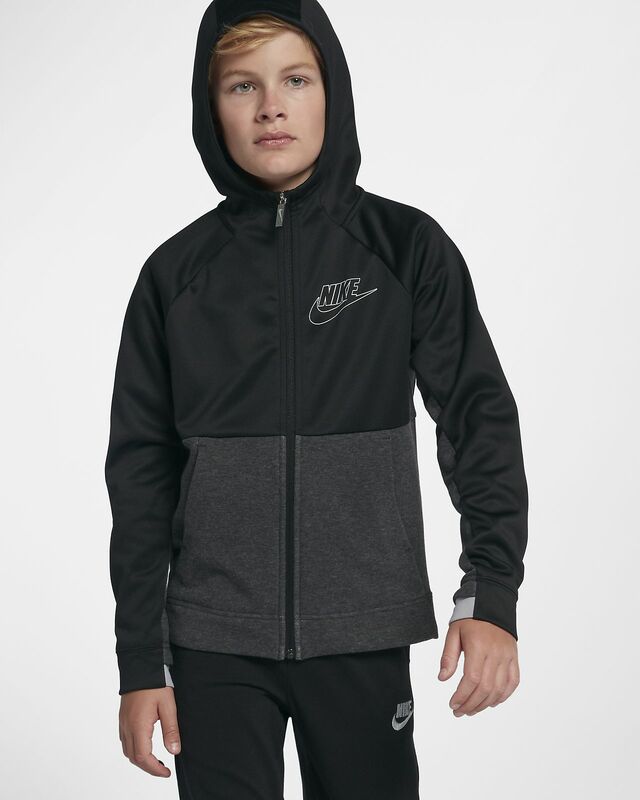 The Nike Sportswear My Nike Older Kids' (Boys') Hoodie is the perfect layer. Its warm fabric has a water-repellent coating to help you stay comfortable—rain or shine. STAY DRY, WARM AND COMFORTABLE. 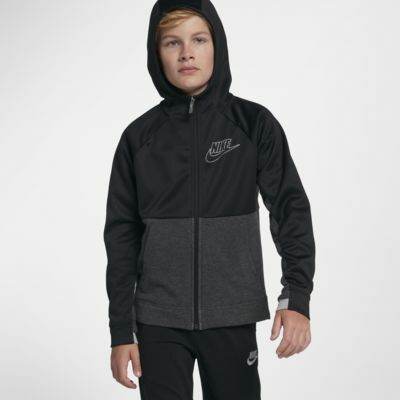 The Nike Sportswear My Nike Older Kids&apos; (Boys&apos;) Hoodie is the perfect layer. Its warm fabric has a water-repellent coating to help you stay comfortable—rain or shine. The upper half features Nike Therma fabric to help manage your body&apos;s natural heat to keep you warm. Its water-repellent finish helps keep you dry in light rain. Brushed fleece fabric on the lower half feels extra-soft and cosy. Thumbholes and a hood help you stay covered from the elements. Front pockets have a hidden zip compartment inside. Zip it closed to secure your essentials while still having a place to keep your hands warm. Fabric: Body: 100% polyester. Panels: 61% cotton/35% polyester/4% elastane. Have your say. Be the first to review the Nike Sportswear My Nike.